Rocks, more than anything else, underpin our lives. They make up the solid structure of the Earth and of other rocky planets, and are present at the cores of gas giant planets. We live on the rocky surface of the planet, grow our food on weathered debris derived from rocks, and we obtain nearly all of the raw materials with which we found our civilization from rocks. From the Earth's crust to building bricks, rocks contain our sense of planetary history, and are a guide to our future. 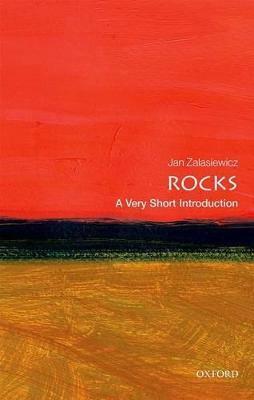 In this Very Short Introduction Jan Zalsiewicz looks at the nature and variety of rocks, and the processes by which they are formed. Starting from the origin of rocks and their key role in the formation of the Earth, he considers what we know about the deep rocks of the mantle and core, and what rocks can tell us about the evolution of the Earth, and looks at those found in outer space and on other planets.